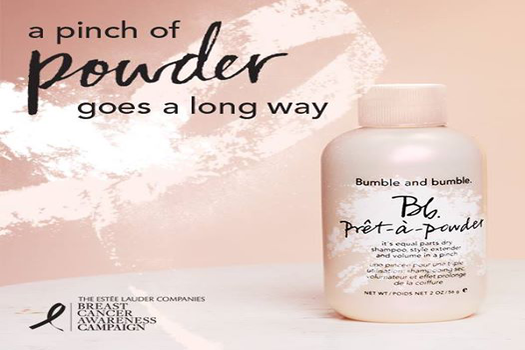 Bumble and bumble Presents Pret-A-Powder for Breast Cancer Research! Bumble and bumble dressed up Prêt-à-Powder with a limited edition pink cap. Equal parts dry shampoo, style extender and volume in a pinch, prêt-à-powder is a favorite amongst both Bb.Editorial Stylists, the fashion set & Crimson Hair Studio stylist Francesca! 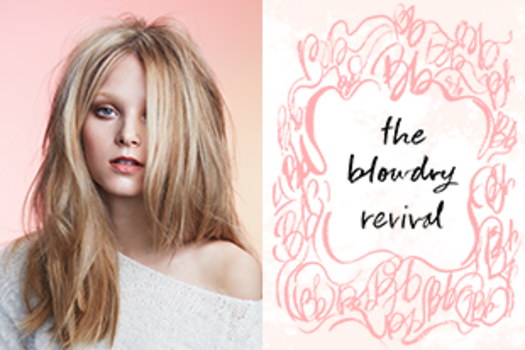 Simply sprinkle it on roots to create instant lift and make yesterday’s style ready-to-wear again. Ideal for all hair types and textures. Crimson Hair Studio has a limited amount of this speicialty product! Bumble and bumble will donate $5 USD from the purchase price of the 2 oz. pink cap prêt-à-powder to The Breast Cancer Research Foundation® (BCRF).